INTERVIEWED BY RACHEL LEONARD. TEXT EDITED BY SALLY Kilbridge. 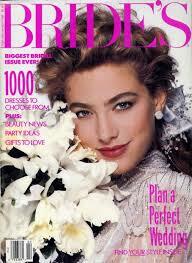 RACHEL LEONARD – When and how long were you the Editor-in-Chief of Conde Nast’s BRIDES Magazine? BARBARA TOBER – I was Editor-in-Chief from 1966 to 1995, and during that time we changed the way America married! It was absolutely the most fabulous journey because the whole world was already changing. We had an opportunity to speak to young people who wanted more say over this great ritual than having their parents handle the whole thing. We wanted them to have fun getting married and planning their wedding and doing it their way. Swedes were marrying Cubans, French were marrying Senegalese, and all sorts of things were happening all over the world—people were traveling more, meeting each other and falling in love with those outside of their nests and their norms. That gave us an opportunity to say: Write your own vows, plan your own wedding. Don't ask your father to shoulder the whole expense. You're older now. You can help pay for it yourself. Both families can help. You can have his picture in the newspaper, as well as yours, because after all both of you are getting married. We made [the wedding] more egalitarian than it had ever been before. I think that really stuck over the years. It took 30 years to make that happen, but it really has become the norm. R – What do you think would be the biggest change you've seen over the last 50 years in weddings? B – I think weddings are more joyous and more fun, while still psychologically very stressful to people. They are something that is a phenomenon of our age. They have it all. R – Was getting married older the biggest shift? B – People were getting married older all long. In the late 1970's they started waiting until their late 20’s. This was a huge change from getting married just out of college or out of high school. Before the 1950's, people got married right out of high school! [In the 1970's] everyone realized they would live longer and wanted to have more education and more of a chance to build a career before they got married. That's why they chose to get married older, which was very sensible. They were following the anthropology of their time: To become a more developed, mature and centered person than they had been previously. If you get married when you're 18, you don't know who the you are. R – What else changed, wedding-wise, when you were at BRIDES? 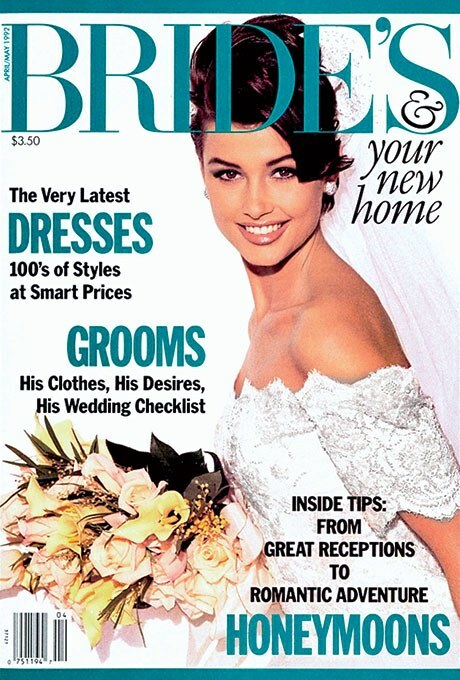 B – It became obvious to me that the right thing to do was to show couples in the magazine—and we did it several years before The New York Times began publishing bride-and-groom portraits. Bringing Pat Kerr and Vera Wang into the bridal business raised the ceiling, and we needed that. Donna Ferrari began creating the most beautiful reception pictures, and if people weren’t inspired by that, I don’t know who could have been. Photos of brides were so lyrical and glorious. R – You were Editor-in-Chief when Charles and Diana married. How do you think that wedding changed the bridal industry? B – Oh, their wedding was so lavish. It changed a lot of people's desires. They wanted to have something more extravagant, more fabulous, more beautiful, more elegant and more grand. 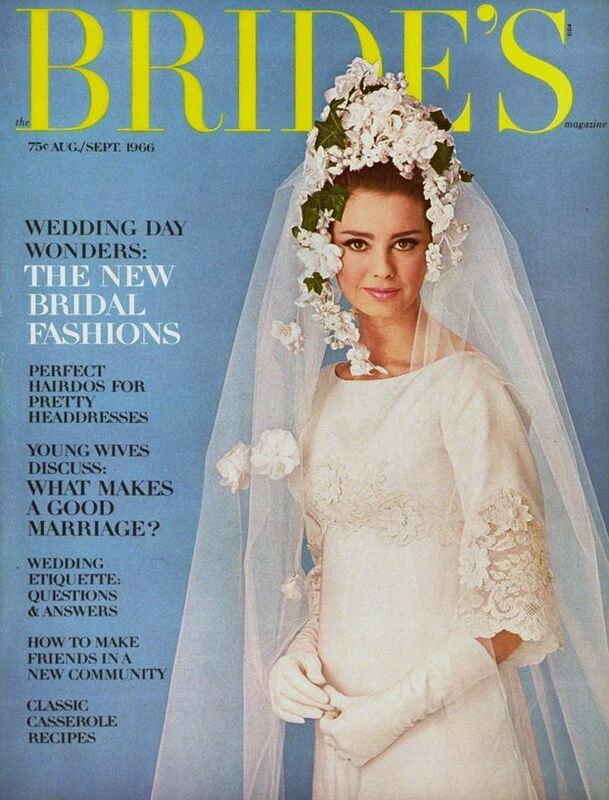 This is changing again now, but during the 1980's there was a huge desire for exquisite and glorious weddings. That's when Pat Kerr started doing her fantastic antique lace dresses at a $100,000 a pop. And then there were those who had their wedding at the Temple of Dendur, which was just the most extraordinary. It cost $2 million at that time back in the 1980’s. Nowadays the wedding would cost $10 million because things have gone up so much, but there was this Gatsby sense going on among all these young couples getting married. That changed in the 1990’s because we had a bit of a recession. R – It does always seem economically influenced by the times. B – Oh, it totally is. Everything is economically influenced. The way people think, the way they behave, the way they have parties, the way they marry, the way they dress and the way they do everything is economically motivated. The 1980’s was the Reagan era—the era of grand and glorious everything. Especially grand and glorious clothes. I have clothes from that period that are like costumes. I recently had a costume designer augment my Oscar de la Renta—I had a ruff made—and went to a party as Queen Elizabeth. Lots of pictures and I got to wear my dress again. I’ll keep them forever. R – Do you catalog your dresses? B – Oh God no, I don’t have time for that. R – You said the planning a wedding as a couple reflects how they will make decisions when they’re married. Do you do think that still holds true? B – Absolutely. Planning a wedding as a couple is how your life together will turn out. A couple I know just got married in Portugal. I love them both very, much: He is an up and coming fantastic giant of the future and she is a charming, feisty, terrific young woman. They planned everything together. When I had my hip done and couldn't go and I was just grief stricken. 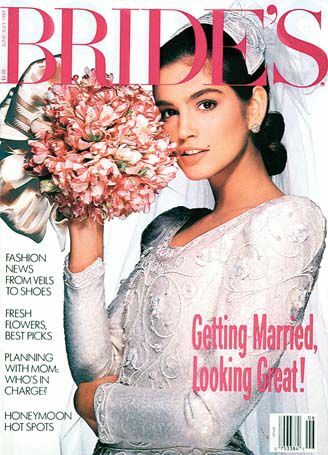 R – What was the high point of your career at BRIDES? B – The pleasure of seeing the innovations and fun that people were having in the joy they shared, as opposed to being all nervous. I know that people are still nervous at weddings, but it’s not the same as when everyone was afraid of this, afraid of that, worried that nobody would like the place and nobody would like the seating. I'm not saying that weddings aren’t without their problems, but couples began to take great joy in the planning stages, such as the couple I mentioned earlier. It’s a huge job, but I could tell that she was really wrapped up in the fun of it all and that he wanted all his army buddies from Iraq and Afghanistan to be there. It was a very wonderful thing to watch. The pleasure they had in getting ready for this event. And I love that. R – What advice would you give to couples planning their wedding celebration today? B – Take each aspect of it and make it your own! Choose the place, choose the time, choose the vows, choose the clothes, choose the honeymoon—choose everything. R – Let's talk about the registry a little bit because it has changed so much. B – People don't want a lot of very fine china and they don't want a lot of sterling silver. They want very practical things for their new home and a lot of the times they want money for their honeymoon or their new house or apartment. It’s much more practical than it was before, which I think is a very smart thing. R – The registry experience is interesting where people donate towards a honeymoon or event. Then the online registry—it's incredible. B – The Internet has changed it so much because it involves the people. If you're online you can be in constant communication with a couple. A lot of times [the couple] invites you to chime in and talk about whether you can come to Vero Beach for the wedding or how you feel about going to Acapulco. As a guest, you’re involved in the wedding in a certain way. You can have fun with a couple while they're planning their wedding by talking to them. One couple I know got married in Careyes in Mexico. She called herself Flo—her real name is Florence. And he is Jose Luis, and called himself Joe. So their website was 'Flo and Joe.' That certainly breaks down barriers. R – You were a mentor to your staff. Are you still in touch with all your staff and BRIDES? B – I don't know where some of them are, but I had a luncheon a couple months ago for about 11 or 12 members of the staff who I still keep in touch with and we had the most incredible time. Just old time stories, laughing and reminiscing. It was great! R – What did you do after you left BRIDES? B – I was elected chairman of the Museum of Arts and Design. I had a lot to learn about the different designers and artists, people who were involved in the work that we show at the museum. We had to rebrand ourselves and we had to get a new home. For the past 15 years, along with our director and the rest of the board members, we rebranded and raised the money we needed to renovate Two Columbus Circle. It was a big, big deal. Now I’m International Chair of the museum and also Chair of the Education Committee. I care about craftsmanship and I care about design and I don't care about dots or squiggles on canvases. I care about the eternal verities of craftsmanship. I am sitting in my house in the country right now on a bed with a marquetry on the back—all wood, wisteria and leaves and it's just beautiful. Absolutely beautiful! And that same artist made our piano, which he did for Steinway, and is wrapped in morning glories. R – Tell me about your early days at the magazine. B – I don't remember who the editor was when I started there in 1966, but I do remember that we went to Italy right away. We received a call from these photographers that wanted us to come and do bridal in Vicenza and Verona. We took planes over with the models and had a $10 a day per diem. We stayed in the hotel and had buses take the bridal dresses all over town. And the kids would run out to the buses and say "la sposa, la sposa!" The downstairs of the hotel was empty—they were about to do renovations—and so we used their entire salon area for hanging up the dresses and steaming them to perfection. Then we would hang them in the buses and take them all over town. What a trip that was! I haven’t been back to Verona and Vicenza since 1966, but I am finally going back in October. R – What do you think of ordering a wedding dress online? B – It depends upon what economic scale and how fussy you are. I mean if you really want to be. I cannot imagine Meghan having ordered her dress online. Look at dresses and try them on and see what looks good. You don't know what you're going to look like in a wedding dress. If you want to dumb it down a bit, just have a white dress then. I have a lot of beautiful white dresses you could get married in. I just recently bought one from Tom Ford and I haven't worn it yet because of obvious reasons. I’d have to be in sneakers with a brace on one leg, so I'm not going to wear a white beautiful dress with that. I'll have to wait until I'm back to normal sometime next year. But if that’s the kind of dress you want to be married in and you can get a million of them then it's fine. And I know women who buy evening dresses online and they have model figures and look great. So you know, just put it on. Put it on! And if you don't like it after two or three wearings, you can just give it away. B – So I can understand that. I happen to love keeping what I have. I have a wonderful seamstress! I like to have them fitted perfectly and I like to embellish them sometimes and work on the dress to make it more beautiful or more interesting. It depends on how particular you are. Some women are not particular—and that's okay too. It's not a value judgment. B – I think it's perfectly fine if that's what you want to do and it's perfectly fine if you want to have it made to order too. R – Were there any trends during your tenure at BRIDES that you feel should have been better left on the dressing room floor? B – Well, ruffled shirts for men and bright blue tuxedos. And for women, oh wow! There is something going on now that I think would be much better left on the dressing room floor. I'd like to see some cover ups, thank you very much. These dresses you can see through half the time. It's extraordinary! If you are very beautiful and everybody admires you as a bride, let the groom be the one who admires you the most and not the entire audience seeing your skin. This is not a bathing suit event. I hope Meghan Markle made a dent in that thinking because she was all covered up and very simple and very beautiful. I don't even remember seeing any lace on her dress. R – She was just covered in a very simple long sleeve dress with a boat neckline with no lace, but her cathedral length veil had 53 different embroidered flowers representing the nation of common wealth and of course her simple tiara. B – I think it was absolutely lovely and in great taste, which I think is something she will be famous for in the future. The whole thing was in unbelievably great taste and you can't go wrong having great taste! ©2019 The Bridal Council, Inc.